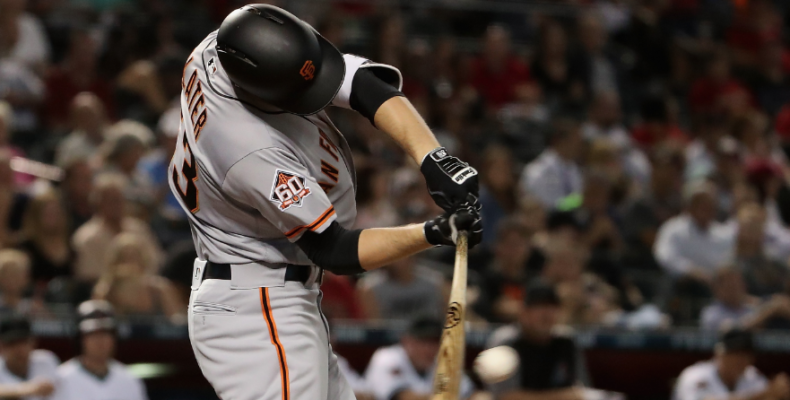 The Giants bounced back from a tough loss on Thursday with a thrilling victory in a pitcher’s duel, over the Pheonix Sankes, 2-1. Andrew Suarez earned the victory allowing only one run and 7 hits in six innings. The story of the game is the entire pitching effort by the Giants. Moronta, Watson, and Smith pitched scoreless innings, with the latter getting his first save as a Giant. The ease and dominance of the three relief innings restored order to the Giants bullpen after a few recent rocky roads. The infusion of youth is no small contributor in this hot streak. In last night’s game Austin Slater hit two rbi doubles, accounting for all the Giants runs. Between the pitching of Suarez and DRod along with the discovery of Superman, aka Alen Hanson, the young blood has played a major factor in the Giants good fortune so far this summer. The development of Reyes Moronta into a dominant reliever is no small thing, and an often over-looked detail in this unpredictable season. Do we have our future closer waiting in the wings of middle relief? This is a big win for many reasons. First, the Giants get right back to their winning ways at the start of a road trip. Second, the DBacks are in first place and were 5.5 games ahead of the San Franciscans going into the game. The Giants now have the upper hand and the momentum to take command of the series tonight and tomorrow. Dereck Rodriguez faces Shelby Miller tonight at 7:10 PM Cactus time.